This excellent documentary from the producers of Bowling for Columbine shows the consequences of a career in mixed martial arts – America’s fastest growing sport – delving into the personal stories of the people who put their lives on the line in the pursuit of personal glory and the entertainment of others. Just like the sport they inhabit, the film is at times brutal and devastating, but also painfully honest. Michael Guymon’s story is particularly heartfelt; a former MMA star who suffered a career-ending head injury and now struggles with depression and crippling debt. Rashad Evans is another fighter under director Vlad Yudin’s intrepid spotlight, battling to overcome a knee injury following his high-profile loss to the former Light Heavyweight champ’ Jon Jones. 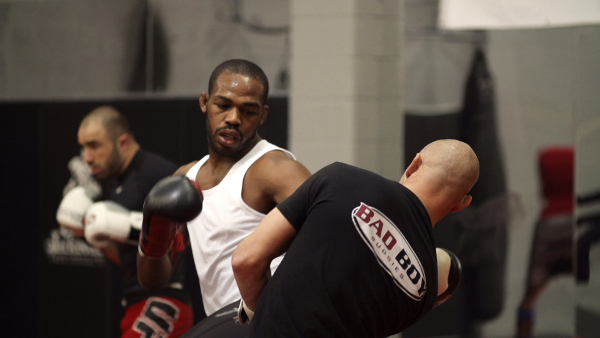 Jones’ prep for his title bout with Daniel Cormier in 2015 is covered – the trash-talking press conferences and the eventual big fight in Vegas acting as the film’s denouement – before Jones’ arrest in 2016. A wannabe fighter, Rory Ransom, is shown training with Guymon but is told he will struggle to be great until he learns to control his anger, before he too is found to have committed a crime and sent to prison on a domestic abuse charge. The rise of the UFC under Dana White has shown the huge commercial potential of the extreme sport, and the film positions Jones as MMA’s poster boy, with his ego, world titles and sponsorship deals. But it’s not quite as lucrative for all the fighters, and the human cost can be profound for a sport in which knockouts, broken bones, haematoma and concussion is what seems to keep audiences engaged. 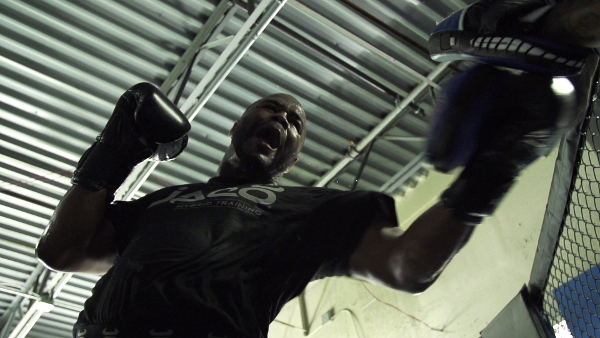 The long-term dangers are all too apparent in Gary Goodridge, who carries the mental scars of 14 concussions but feels that for many it is a price worth paying in the drive to be the best. Sara McMann’s story is also fascinating; a former wrestler and single mother who is shown playing with her daughter before she enters the cage to smash her opponents in the head. She is shown exhausted, battered and bruised after her title defeat and you can’t help but feel that there must be another way for her to provide for her daughter. The stylistic and philosophical background to MMA is touched upon, courtesy of Brazilian jiu-jitsu icon Rorion Gracie who founded the UFC as a platform to pit different styles against each other in a no-holds-barred contest, and it is true that the UFC has improved in terms of rules and regulations from those very early VHS years, but the mental and physical scars can still be severe. With input from the industry’s major players – including the likes of Georges St-Pierre, Chuck Liddell and Ronda Rousey who have all gone on to enjoy movie careers – this is an even-handed, conscientious look at a sport which continues to shock and appeal in equal measure. Ronda Rousey and Sara McMann weigh in for UFC 170 in 2014. Sara McMann with her trainer. The Hurt Business is out now on Digital and DVD on 2 January 2017 from Precision Pictures. Order now on iTunes. Nice read Ben! I did not know anything about this documentary. Definitely a sport that can cause serious permanent damage and most will end up with injuries. Football IMO is more dangerous due to a guy 200 lbs. can get blindsided by a couple of 270 pounders I think Joe Rogan said it very well in an interview. “The best that you can hope for is to be good and avoid injury for as long as you can and get out.” That is not exactly what he said, but I remember the message he was conveying. Another words be really good and through skill and luck, make your career successful as fast as you can and take as little punishment in the shortest amount of time as possible.